Striker returns to Stockholm club after failing to establish himself under Neil Lennon. Celtic striker Mohamed Bangura has returned to Sweden to play for former club AIK on loan until December. The 23-year-old attacker, who cost Neil Lennon’s side £2.2m from the Stockholm club in August last year, has failed to establish himself in the Hoops in his 12 months in Glasgow. He goes back to his former club until the end of the year on a loan deal. 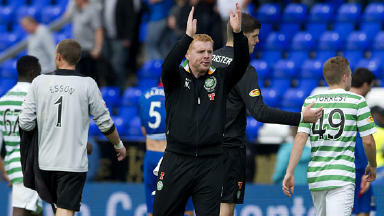 "He is still our player but he needs to play some football and get himself going again," Lennon said of Bangura. "Possibly the expectation of the price tag weighs a little bit on younger players at times. "We know he is a talent but has been hampered by injuries. He is fit now and we think it is a good time for him to go and play football and come back here a better player." 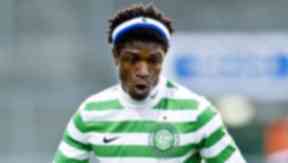 Bangura came to Celtic Park after impressing for the Swedish side, netting 13 goals in a year after moving from IFK Varnamo. However he is yet to open his account for Celtic after 16 games, and was sidelined for five months after suffering a knee injury in February. The Sierra Leone international will return to Glasgow at the end of the year.